Graduate in Law from the Autonomous University of Barcelona (UAB). She worked as a lecturer in Civil Law in Lleida during academic year 1987-1988 with D. Carles Maluquer de Motes Bernet, professor of Civil Law. She has been a practicing lawyer since 1988 and is licenced by the Barcelona Bar Association. 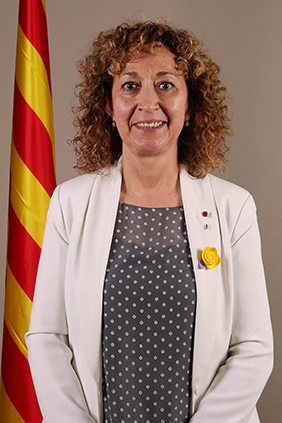 Barcelona representative in the Congress of Deputies since 2015, she was designated senator for the Parliament of Catalonia in the tenth term. She was councillor and spokesperson for ERC in Barcelona City Council from 2007 to 2011. She was manager of the Municipal Institute of People with Disabilities (IMD) of Barcelona City Council. She has been a member of ERC since 2008 and was president of the Catalan Association of Democratic Jurists (ACJD) between 2003 and 2007. She is a member of various associations, including Dona i Drets, an association federated in the Lobby de Dones de Catalunya, and Themis.